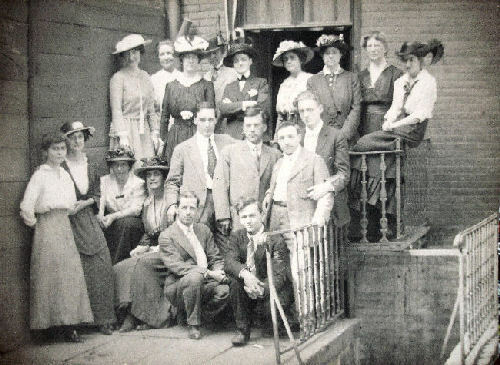 Max Weber is standing in the second row, second from the right, his hand on rail. In 1914 Max Weber helped to found the Clarence H. White School of Photography in New York City with the former Photo-Secession photographer Clarence H. White. Weber taught art history and art appreciation for four years at the White School. His lectures, which introduced the concepts of modernism to his students, were published in 1916 as Essays on Art. Weber’s teaching at the White School greatly influenced the first generation of modern photographers. In 1916 Weber married Frances Abrams. His son Maynard was born in 1923 and his daughter Joy in 1927.